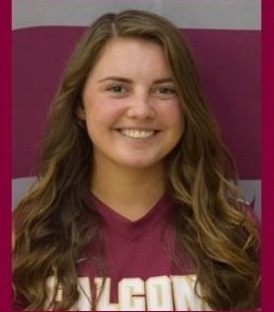 After playing four years for the newly-formed Fairmont State Lady Falcons Soccer Team – which went 5-7-6 for the 2017 season – Alexis Lindsay is back at Bridgeport High School. She was last part of the Lady Indian soccer program when the Tribe claimed the 2013 AA state championship. Now, Lindsay is serving as a volunteer assistant coach, working with Coach John Reese and Assistant Coach Valerie Barlow. After earning a degree in business administration, Lindsay is employed as a data administrator at Aurora Flight Science Corporation. She looks forward to assisting with coaching duties at BHS. "I think the main reason is to grow and learn about the sport from a different perspective," she said. "Not only am I excited and lucky to learn from Coach Reese and Coach Val, but the girls on this team are smart and they all want ot work hard and have fun while chasing the same goal. They have already created the perfect team atmosphere just by showing those characteristics." Lindsay said she's very excited to watch the athletes go after this year's season and to chase their dreams on to college. 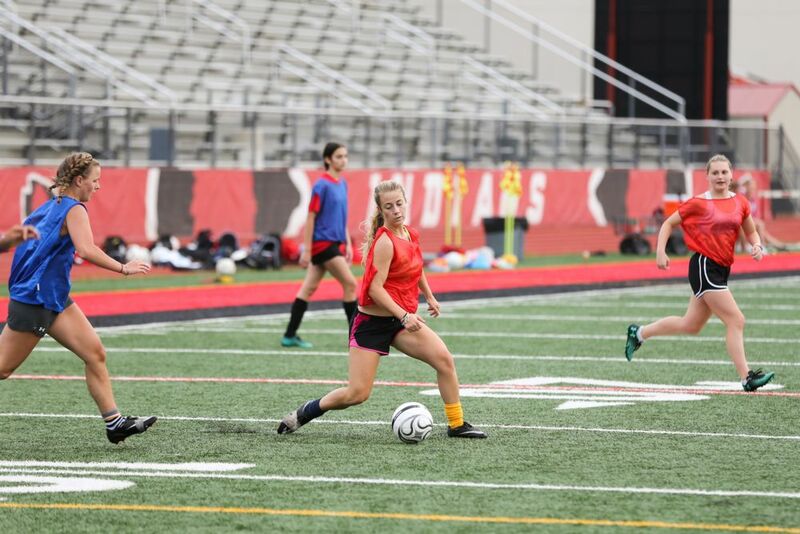 In addtition to loaning a hand with coaching, she is also receiving important hands-on experience and hopes to someday step into a coaching position. "Hopefully, one day I can be as great of a coach as Coach Reese," she said. Reese is pleased to have Lindsay on staff and said he is also pleased with the way the 2018 season is shaping up after just a couple days on the field. 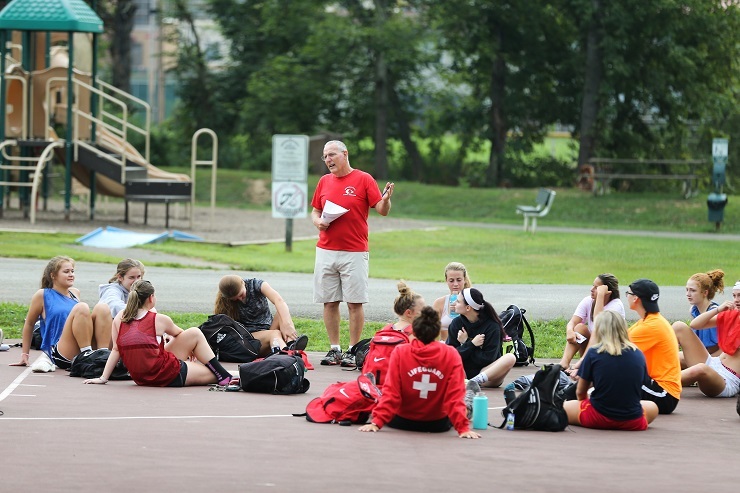 “We had 23 go out and the girls are looking good,” said Reese, adding that he plans to run both a varsity and JV squad this season. Returning seniors are Rory Marple, goalie; Kirsten George, center back; Jordan Cole, right back; Anna Cava, forward and Olivia Arbogast, outside wing (left). 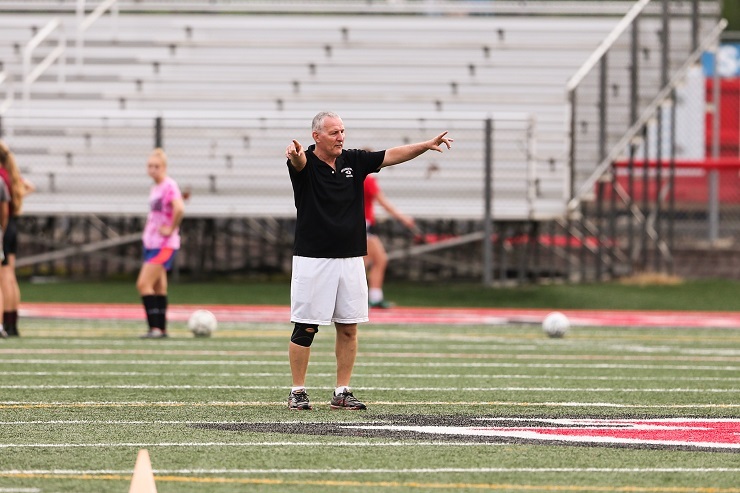 Those positions aren’t set in stone, but Reese said he feels he has a pretty good idea of where he’ll place many of his players for the 2018 season, which also include outside wing (right) Maddie Wilson and midfielders Madison Ware and Braelynne Sandreth. Because of their speed, Emma Perine and Anna Cava will likely start as forwards. Mackenzie Randolph will also see time in the goalkeeper position when Marple plays in the field. Sophomore Abby Sprouse will be in the lineup and freshmen Gracie Courtney, Emma Jones, Annie Dolan and Macy Cook will also see some varsity playing time, Reese believes. 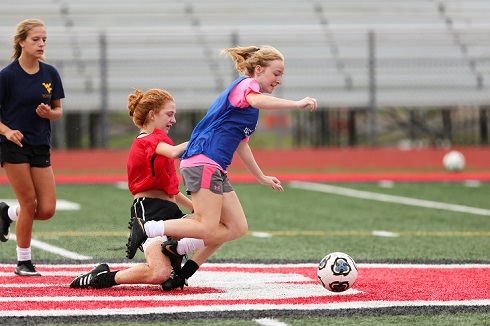 Ashley Hart, who played center-mid last season for the undefeated Lady Indians JV team, has suffered a foot injury and hasn’t yet practiced this season. Reese hopes to see her return soon and plans to utilize her talent. Elizabeth Denniker, who played forward on the JV team last season as a freshman, also looks good this year, Reese said. Though he’ll have a JV team, some players will be splitting JV and varsity time so there will have to be some schedule changes.